Children at Fourth Church are cared for in a variety of ways, from our Day School program for preschoolers to Sunday School each week to Vacation Bible School during the summer. Fourth Church provides several opportunities for spiritual growth for both you and your child. You will find a calendar of these events at the calendar button at the top left. View upcoming children and family events and opportunities here. The Sacrament of Baptism, which occurs on the second Sunday of each month, is the sign and seal of God’s grace and covenant in Christ. This nonprofit community outreach arm of Fourth Church provides hope and opportunity to our city’s youth and adults who face the challenges of poverty. 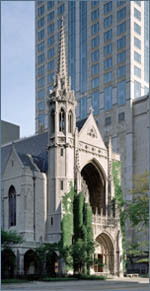 The Cherub and Children’s Choirs offer opportunity for children from the age of four through fifth grade to participate in the music life of Fourth Presbyterian Church. The Day School strives to engage children in a variety of activities with an environment that encourages wondering, problem-solving, and all areas of cognitive development. Children and Family Ministry at Fourth Presbyterian Church is active, exciting, and growing every year. Join us at our upcoming events! Families from Fourth Church enjoy sharing faith, fellowship, and fun at Family Camp, held twice a year (in early summer and fall) at various camps in Michigan or Wisconsin. Family Night offers opportunity for families to gather once a month at Fourth Presbyterian Church or at an off-site location for an evening of fellowship and fun! The Good News Letter is an email newsletter sent monthly to friends of Children and Family Ministry at Fourth Presbyterian Church. Moms expecting a child or who already have children are invited to join a Moms' Group, a place to make new friends and explore how faith can be a strong resource throughout parenthood. Nursery care is provided for infants and toddlers during Sunday morning worship services. The Fourth Presbyterian Church Sunday School welcomes all our children, regardless of abilities and challenges, and is eager to teach all the good news of Christ. Sunday School classes for three-year-olds through fifth graders take place each Sunday morning at 9:30 and 11:00 a.m. during the school year and at 9:30 a.m. during the summer. 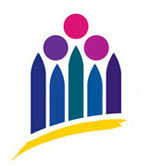 Fourth Presbyterian Church offers Vacation Bible School for one week each August, engaging children in preschool through fifth grade in biblical activities and lessons. If you'd like your child to join you during Sunday worship, you can keep him or her busy with one of our children's worship kits! For more information about Children and Family Ministry at Fourth Presbyterian Church, contact Matt Helms, Associate Pastor for Children and Family Ministry (312.573.3362).